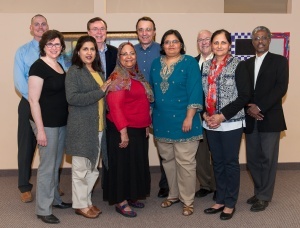 The Education Committee of the Faith Community Working Group, brings members of Montgomery County’s diverse faith communities together for understanding and respecting one another, and working collaboratively with Montgomery County Public Schools to enhance quality religious education, assure respect for all religious traditions and secure an environment free of discrimination, bullying and harassment. 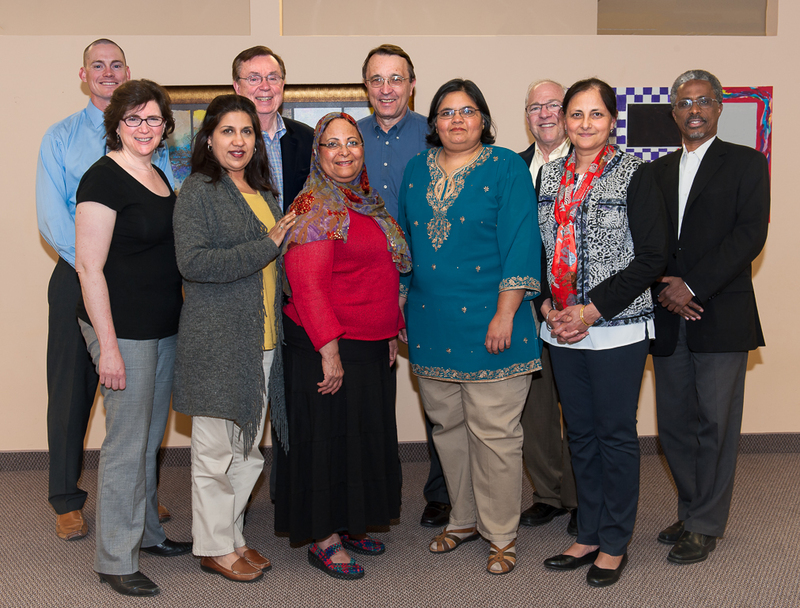 The development of an Interfaith calendar for MCPS. concerns, tips on how to deal with and report bullying, and a discussion on how to self-advocate within the MCPS school system. The committee also had a very successful forum (view video here) on religious diversity that brought together members of the education and faith communities to discuss faith issues related to MCPS students. FCWG Education Committee members Dr. Harminder Kaur and Mrs. Lubna Ejaz, along with County Liaison Rev. Kaseman are engaged in a series of meetings with Associate Superintendent Dr. Jonathan Brice, Public Information Officer Derrick Turner, and Executive Director Denise Bracalilly Stultz, to discuss the best ways to connect with the families of MCPS who have concerns regarding the hate incidents and insecurity in the schools. We have been reviewing how material can be more easily found on the MCPS website, public forums for a discussion of how to report incidents and the ways the schools respond, and Parent Academy programs on inter-group dialogue and how parents can support their students. Dr. Harminder Kaur Chair or Education Committee. Co-Chair of Faith Community Working Group. Practicing internist in Clarksburg, MD, and belongs to the Guru Gobind Singh Foundation in Rockville. She currently coaches youth in a lead volunteer educational organization called Sikh Kid to Kid. Mansfield “Kasey” Kaseman is the Interfaith Community Liaison for the Montgomery County Executive’s Office. He has 40 years of experience in ecumenical and interfaith relations that includes founding and administering non-profit organizations, networking with all sectors of community life, serving on regional and national boards, and enhancing businesses through Corporate Citizenship. Steven Adleberg was a principal in the Fairfax County Public School system for 33 years. Currently he is the JCRC’s Director of Education Outreach. Richa Agarwala Ph.D. is a member of Chinmaya Mission Washington Regional Center and Hindu America Foundation. She is the Hindu representative on Faith Community Working Group’s subcommittee on Education for the Montgomery County Public Schools and participates in a women’s interfaith book club. Professionally, Richa has a doctorate in Computer Science from Iowa State University and did a postdoctoral fellowship in Mathematical Support for Molecular Biology at Center for Discrete Mathematics and Theoretical Computer Science. She is a senior scientist at the National Institutes of Health in the field of Bioinformatics. Mumin Barre is a member of the FCWG Education Committee and Equality for Eid Coalition. He is the founding Co-Chair of the MC Executive Ike Leggett’s African Affairs Advisory and serves on the Montgomery County Sister Cities Board, Montgomery County Muslim Council, and Montgomery County Democratic Central Committee. Fred Evans retired from the Montgomery County Public Schools after a successful 30-year career as former principal of Gaithersburg High School and Parkland Middle School. Currently, Fred utilizes his professional skills as an adjunct professor in the education leadership graduate schools of Johns Hopkins University and Hood College. Mimi Hassanein currently serves as the Senior Fellow and Middle Eastern Community Liaison for Montgomery County. Mimi is also the Vice President of the Programming Committee for the Women’s National Democratic Club and an elected member from Montgomery County for the Democratic Central Committee for Maryland. Chris Murray is a Nationally Board Certified teacher who has taught in MCPS for 10 years at the high school level. He currently teachers courses in both World History and Comparative Religions. Aman Shergill serves as an executive officer on the board of the Winston Churchill Educational Foundation in Potomac, she is an active delegate on the Executive Board of the Winston Churchill HS Parent Teacher Student Association as well as the Council Advisory Committee at Churchill. Aman is also supporting a local youth run non profit called Sikh Kid to Kid, building social and religious tolerance through education.